U.S. Department of Agriculture (USDA) scientists have found antibiotic-resistant bacteria in prairie soils that had little or no exposure to human or animal activity. 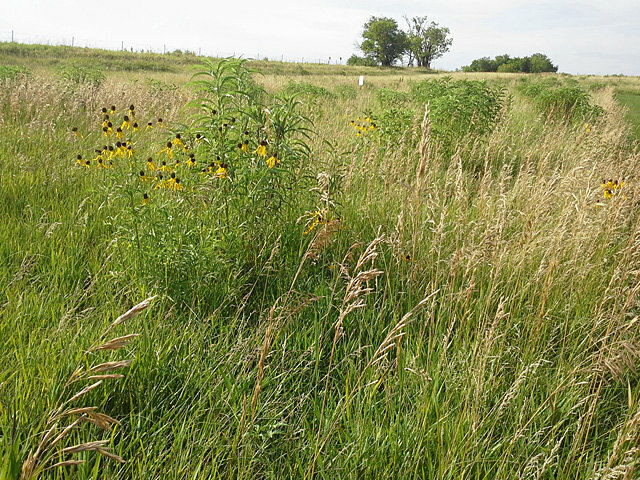 ARS scientists found antibiotic-resistant bacteria occurring naturally in undisturbed Nebraska prairie soils. Antibiotics have effectively treated bacterial diseases for years, but some bacteria have developed resistance to the antibiotics that once killed them. Agricultural Research Service (ARS) researchers are investigating agriculture-related antibiotic resistance and developing solutions to address food safety, animal production and protection, and the environment. Part of their efforts involves looking at antibiotic resistance in soils. Microbiologist Lisa Durso and her colleagues at the ARS Agroecosystem Management Research Unit in Lincoln, Nebraska, recently demonstrated that ungrazed prairie soils have measurable amounts of bacteria with antibiotic resistance. Antibiotic-resistant bacteria and antibiotic-resistant genes found in soils where manure was deposited by animals can provide valuable information about what is currently present in a sample site, such as a feedlot. However, the concern is that even if bacteria in manure are dead, their genes can persist in soils. A tool for measuring resistance is needed to identify the source of antibiotic resistance on farms and in the environment, according to Durso. Establishing baseline levels of antibiotic resistance will allow scientists to differentiate resistance caused by human antibiotic use from resistance that occurs naturally. Durso and her team examined native prairie soils that had little human impact and no animal grazing during the past 20 years. They collected soil samples from the sites and screened them for antibiotic-resistant bacteria. They found that all prairies contained bacteria that were resistant to tetracycline and cefotaxime — two commonly prescribed antibiotics that treat a wide variety of infections — and nearly half of the samples contained bacteria resistant to two or more antibiotics. According to Durso, data from the study can provide a baseline for what occurs naturally in soil — giving scientists a starting point for figuring out how best to manage antibiotic resistance in agricultural productions. Web Source: USDA/Agricultural Reseach Service.